Atlas Community Foundation is hosting a casino night fundraiser for Beds for Kids. Play the tables and enjoy music, drinks, hors d’oeuvres and a silent auction. Proceeds will go towards the purchase of a new delivery truck for the nonprofit. Click here to purchase tickets. With offices in Charlotte, NC and the Cayman Islands, while Atlas Insurance Management employees may not share the same home base, we do all share a deep appreciation for the communities in which we reside. That’s why, in addition to providing global captive management expertise, we are committed to helping the people who live in our communities whenever we can. Starting with the inception of the Atlas Community Foundation in 2017, we’ve supported charitable organizations through both employee volunteer events as well as monetary donations. Atlas empowers employees to identify organizations and community service projects with personal meaning or connection to their lives, and we all come together to support those who need it most. 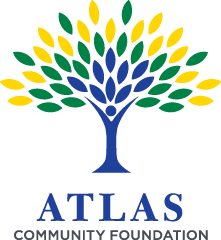 The Atlas Community Foundation serves to blend contributed funds with the contributed time and effort of our people, as we seek to improve the quality of life and opportunities for the disadvantaged in our local communities.